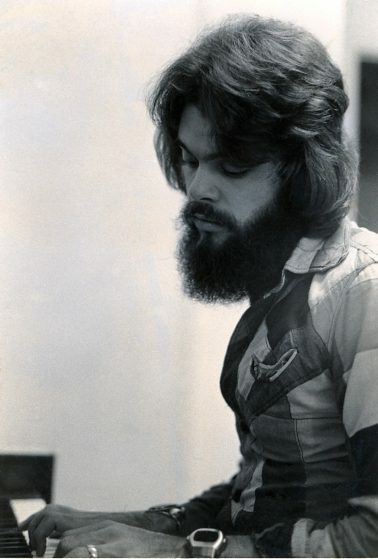 A successful songwriter and singer, it was nearly impossible to turn on the radio in the late 70’s without hearing Lenny LeBlanc’s hit ballad, “Falling.” He was an integral part of the phenomenon that became know as Muscle Shoals Music. Even though there were plenty of friends and other career distractions, he knew where he wanted music to take him, and he possessed the drive to make it happen. From the first invitation to join a garage band for the upcoming middle-school talent show where Lenny confesses, “I was so petrified, I kept my hands in my pockets and stood facing the band because I couldn’t look at the audience,” to session work for The Temptations (House Party) and Hank Williams Jr. (Bocephus and Hank Jr & friends), LeBlanc’s resume soon glittered with stars: Joan Baez, Andy Williams, Etta James, Carl Perkins, Mac Davis, Roy Orbison, the Supremes, and more. After signing to Atlantic Records as part of the duo LeBlanc & Carr success came quickly with the release of the romantic ballad “Falling”, which was named one of Billboard’s all time favorite Top 40 hits. After numerous television guest appearances, including American Bandstand, and The Midnight Special, a national tour with Lynyrd Skynyrd was on the books. In 1977 shortly after the tour had begun tragedy hit the Skynyrd band; the infamous plane crash put LeBlanc’s plans on hold. He says, “After the crash I eventually began touring again and recorded one solo record, this time with Capitol. Over time I became frustrated and disenchanted with the whole thing.” However, LeBlanc continued to write new songs with his Muscle Shoals friends and he was convinced the next big success was just ahead. LeBlanc says, “It was one of my friends, a Vietnam vet. This guy had been like a brother to me growing up and by this time he had become a drug smuggler. With his decision to write and record Christian music the Pop career engine LeBlanc had built so carefully suddenly came to a full stop. So did his income. He lost nearly everything except his house. He did skilled carpentry work to earn a modest living and along the way began building and designing handmade furniture. Even now, his second art passion after music is the creation of high-end pieces he designs, creates and sometimes sells. While he loved being part of the church he attended, he was still a songwriter at heart. He felt no real connection to much of the church music of that decade. 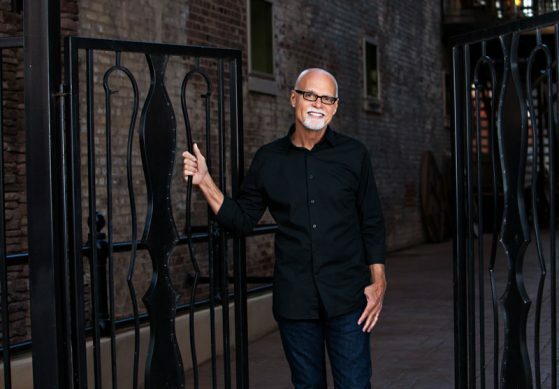 “I had this desire to pen songs that were relevant,” says LeBlanc, “and wanted to write something more vertical than what was being sung in the church during the eighties… that’s where my roots in worship started. LeBlanc’s name appears on dozens of beloved songs of the church, including the Dove award winning “Above All” which has been recorded by Michael W. Smith, Rebecca Saint James along with country artists Randy Travis and Richie McDonald of Lonestar and the classic “There Is None Like You.” His voice and his compositions are featured on dozens of various worship recordings. He currently lives in Florence, Alabama with his wife Sherrie. Lenny continues to write Christian, pop and country songs, including hits like “Treat Her Right” for Sawyer Brown and “You First” with eight time CMA, “Musician of the Year”, Mac McAnally. He still travels nationally and internationally as a Christian artist. Lenny’s latest release “Anthology”, is an acoustic collection of his most notable songs along with two new titles “Unchained” and “Hope”. Also included are bonus tracks “You First” and a re-recorded version of his seventies pop hit “Falling”.